Baynard Park is a gated community located on the banks of the Okatie River leading to the beautiful Atlantic coastline. This thoughtfully designed community offers great single-family homes with a low-maintenance lifestyle. 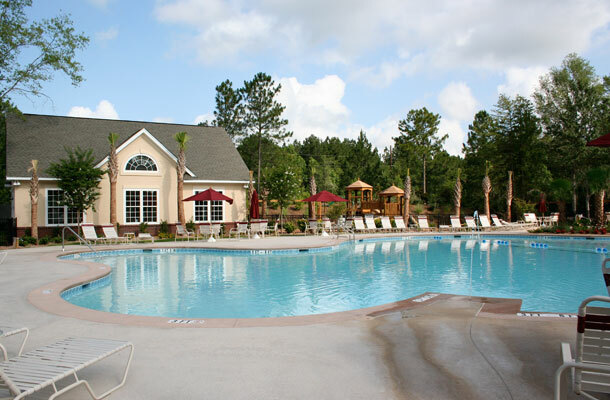 On-site amenities at Baynard Park include a community clubhouse, 2 tennis courts, zero-entry swimming pool, fitness facilities, playgrounds and a picnic pavilion. Residents in the community enjoy numerous social gatherings during the year where neighbors can come together and enjoy each others company.Residents also enjoy quick access to the beautiful beaches and world-class golf courses of Hilton Head, as well as year-round boating, fishing, kayaking and wildlife viewing among the Sea Islands and nature areas of Beaufort County and northeastern Georgia. Some models have flex rooms and optional second floor lofts. Included back patios provide a great place to read the morning paper or relax after a long day. You can purchase a resell or build your own Pulte home.